Discount Tool Rental is a full service tool repair and sales company for small engines and electric powered equipment. 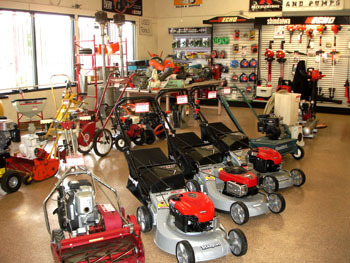 We can provide parts sales and service for most major brands of outdoor and indoor power equipment including: lawn mowers, line trimmers, hedgers, generators, grinders, sanders, drills, gas and electric saws, air compressors and much more! Discount Tool Rental is a family owned and operated business dedicated to serving our customers in the Phoenix metro area better than the rest. Our Motto is "After the Sale; it's the Service that Counts". You can count on us for all your tool repair needs. We are located at 2644 East Bell Road. Phoenix, AZ and are easily accessible. 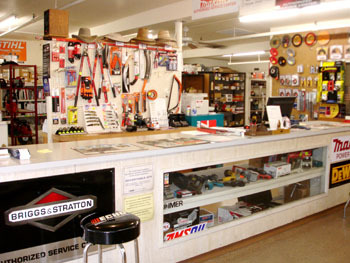 We offer you a full range of tool repairs, parts, service, and sales of Outdoor and Indoor Power Tools. With over 22 years of experience we can cover all your power equipment needs. From tune ups to complete engine rebuilding, our trained mechanics can fix all types of small engines for your power tools. We stock a wide variety of genuine and after market parts for most brands of lawn and garden, construction and power tools. We carry a large selection of oil, lubercants, two-cycle mix, air filters, parts and supplies to keep your power tools working at optimal performance. Can't figure out why your lawn mower won't run? Our trained staff has the knowledge to figure out what is wrong and get it fixed again to working order.